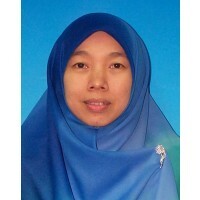 Professor Zarinah served in various teaching capacities in renowned public and private schools in Malaysia, including Sekolah Menengah Sains Raub and Sekolah Sri Kuala Lumpur. At IIUM, she teaches Business Mathematics, Statistical Methods, Econometrics, Quantitative Decision Making and Mathematical Economics. Her research areas include intra-trade and financial integration, entrepreneurship education, SMEâ€™s and waqaf development. She has published over 30 articles in reputable international refereed journals such as the Journal of Economic Cooperation and Development, Jou ... show more rnal of Developing Areas, International Journal of Managerial Finance, Benchmarking: An International Journal, Journal of Emerging Market Finance, Pertanika, Journal of Islamic Economic Studies, Journal of Asia-Pacific and others. She has also presented papers in various seminars locally and internationally. She used to hold positions as Principal of Residential College, Deputy Dean of Student Affairs, Quantitative Coordinator and Course Coordinator. Currently she is the Editor of the International Journal of Economics, Management and Accounting (IJEMA) and Programme Advisory Committee (PAC) Member of Malaysia Palm Oil Board (MPOB). 2010 Using lexical ontology for semi-automatic logical data warehouse design.